Isiah Factor | The Insite » MEMBERS OF THE PRESS ARE BACK AT THE FEDERAL COURTHOUSE! 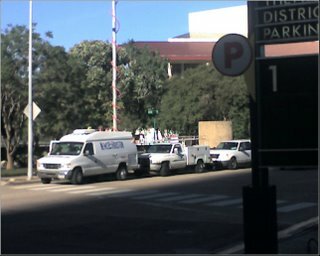 MEMBERS OF THE PRESS ARE BACK AT THE FEDERAL COURTHOUSE! October 23, 2006 | Posted in Uncategorized | Comments Off on MEMBERS OF THE PRESS ARE BACK AT THE FEDERAL COURTHOUSE! THIS COULD BE SKILLING’S LAST PUBLIC APPEARANCE BEFORE THE MEDIA! You can tell it’s Enron time again at the federal courthouse. 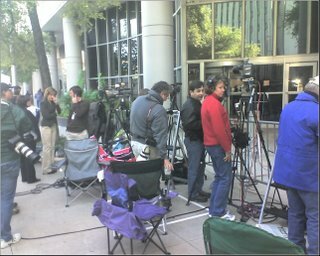 Dozens of members of the media are camped out waiting on the arrival of former Enron CEO Jeffrey Skilling. He’s set to be sentenced today for his role in the demise of the former energy giant. Skilling’s attorney Daniel Petrocelli arrived early this morning around 8. However, we don’t expect Skilling to arrive until late. Who wants to turn themselves in early for a prison sentence that could be anywhere from 20 to 30 years. 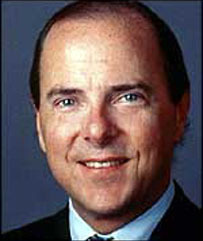 Skilling was found guilty back in May on a laundry list of fraud and conspiracy related charges. His co-defendant – Ken Lay – as many of you know died. He was also scheduled to be sentenced today. Skilling’s attorneys say they will appeal any jail time.